Glen Velez designed this series of drums to explore a new context for some traditional instruments. 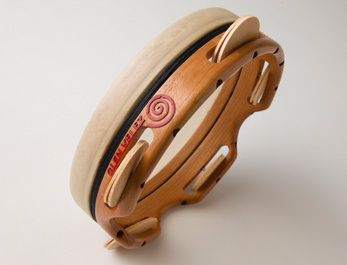 The three drums clearly borrow their design heritage from the South Indian kanjira, the Southern Italian tamburello, and the Spanish/Basque panderoa, but they are not intended to be traditional versions of those instruments. 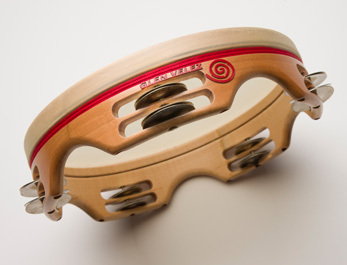 The jingles, the jingle pattern, and all of the design details have been adapted to facilitate Glen’s innovative, cross-influenced tambourine technique. This new design allows you to adapt the instrument to your individual needs and preferences regarding both weight (fewer jingles means lighter weight) and sound. In an accompanying booklet, Glen demonstrates the application of his Mediterrasian style using hand movements drawn from the traditional sources, but with the underlying rhythmic ideas combined and shaped into a broadened context.